Virtually every electrician will say and agree that electrics are the science of contacts. In practice, this becomes obvious. 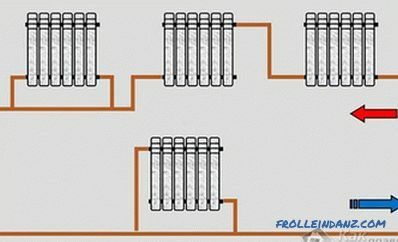 A large number of problems in the power supply is due to a large wiring overload, as well as due to weak contacts in the junction box. 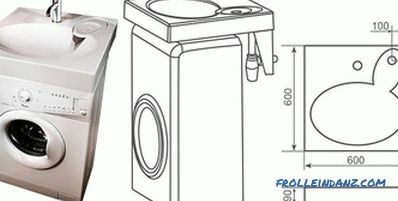 In this article, we will focus on the last problem, namely how to connect aluminum wires. Aluminum has special properties of the metal, which can cause difficulties in joining. Owing to oxidation, an oxide film is formed on the aluminum, which prevents the passage of electric current. This film will melt only at a temperature of at least 2000 ° C, and this figure is above the melting point of aluminum itself. Moreover, if you mechanically clean the oxide film, after a while, it appears again. If you want to weld aluminum, this film will prevent the solder from adhering to the core. Also during welding, the film forms inclusions that negatively affect the quality of the contact. Among other things, aluminum belongs to the category of metals, which are characterized by high fluidity and brittleness. As a consequence, the contact should be fully protected from possible mechanical effects. For example, if you connect aluminum with a bolt clip, you must regularly tighten the contact, since aluminum, figuratively speaking, “flows out” from under the contact, which, in turn, weakens. Are there ways to reliably connect aluminum wire? Consider a few common methods and decide how best to do this work. This connection method is very simple. 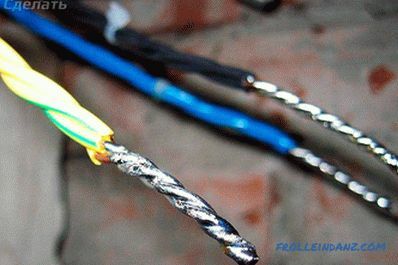 It is necessary to strip the wire from insulation by 20 mm. After the vein is recommended to clean the fine-grained skin. Next, twist the bare conductor into the ring and insert it into the clamping screw, which should be tightly tightened. 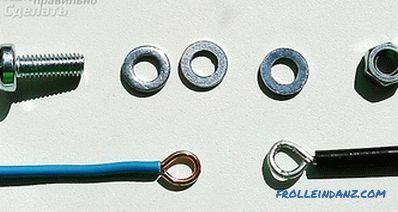 The minus of this connection method is that for the fluidity of aluminum, from time to time the contact must be tightened. Therefore, the junction must be in an accessible place. 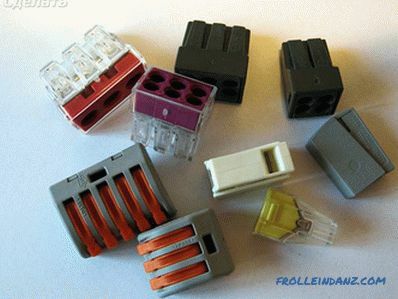 In this case, special terminal blocks are used. 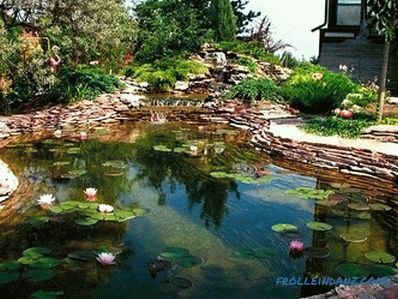 Due to the presence of a special spring, there is no need to regularly tighten the contact. The inserted stripped aluminum wire is held securely. There are terminal boards both disposable and reusable. 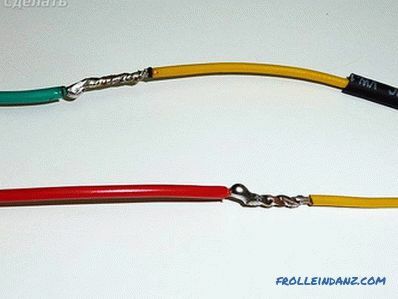 Disposables are used to connect wires, without further disconnection. The wire inserts into the hole of the clamp, do not pull it back. As for the reusable connection, the wire is easily drawn out if you press the special lever holding the wire. 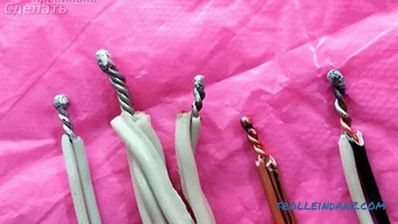 In rare cases, aluminum wire can be connected by twisting. 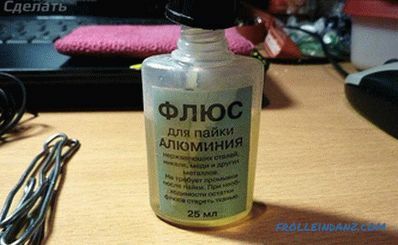 Immediately it should be noted that this method is very unreliable and even despite the fact that it was used relatively often in Soviet times. This is partly due to the fact that in the past the number of household appliances and, accordingly, the load on the wiring was less. Now the picture looks different. 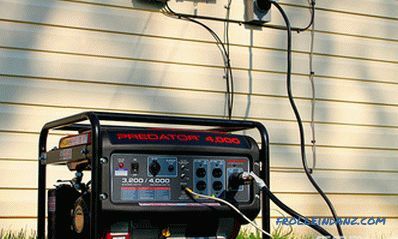 Moreover, the duration of such a connection depends on various factors, for example, current load, humidity and temperature. 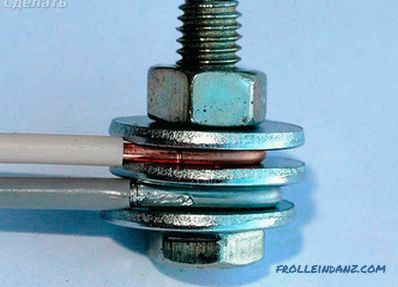 If the temperature rises, the metal expands, causing the gap between the wires to expand. This can lead to transient resistance, the contact point will be heated and then oxidation will form and, eventually, the contact will completely break. However, this process continues for a long time, so for temporary connections the twisting method is valid. Wires should be twisted evenly around each other. If the wire is thick, then there should be no more than three turns, and for a thin one, not less than five. If copper and aluminum wires are connected, then the copper wire must be tinned. 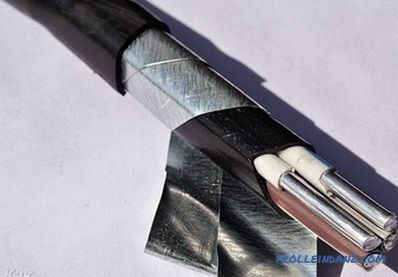 A heat shrink tube is recommended as contact insulation. Availability of suitable tools and equipment. Consider each method of permanent connection separately. Fast and reliable connection method. 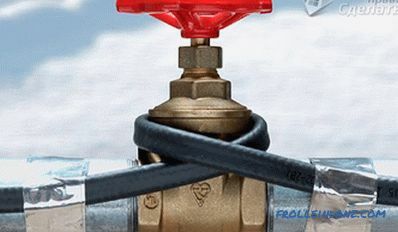 Moreover, this technology is relevant if you need to make a large number of connections. However, this requires a welding transformer and skills. Wires are twisted among themselves. At the end apply special flux. After that, welding with a carbon electrode takes place for up to 2 seconds. As a result, a drop should form at the end of the twist. A drop should be treated with a solvent, and then coated with varnish. When the varnish is dry, the compound is insulated. 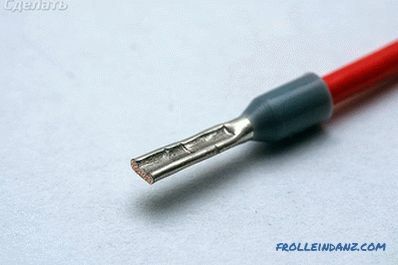 The soldering method of the joint is simple. This will require components such as rosin, soldering iron, solders and additional elements. So, the wire is twisted, and after a soldering iron apply on them solder. Such a connection will require special press tongs and sleeves, which are hollow rods. 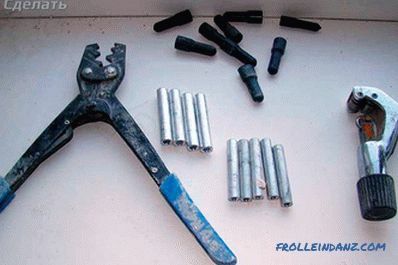 For crimping, clean the ends of the wires, insert them into the sleeve, and perform crimping in three places. Additionally, you can twist the wires. If the wire is aluminum, use an aluminum sleeve for copper - copper sleeve. If you combine aluminum with copper, then copper-aluminum sleeves are on sale. Connecting 2 wires from copper and aluminum can cause some problems. The problem lies in the potential difference, the difference of which reaches up to 0.65 mV. If the humidity increases due to this difference, the contact will break. Moreover, the contact will heat up, which can lead to disastrous consequences. 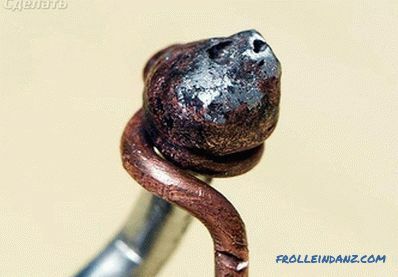 Using these techniques, aluminum can be connected to copper wires. 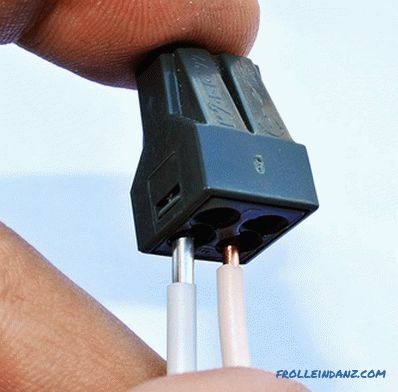 In this article, we looked at several methods of how to connect wires to each other. If you know about other methods, then leave comments at the end of this article.